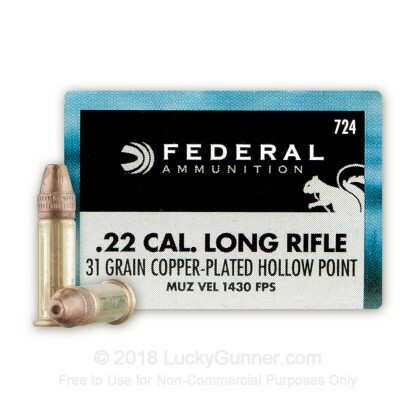 From Federal's Game Shok line of ammunition comes a reliable 22 Long Rifle. 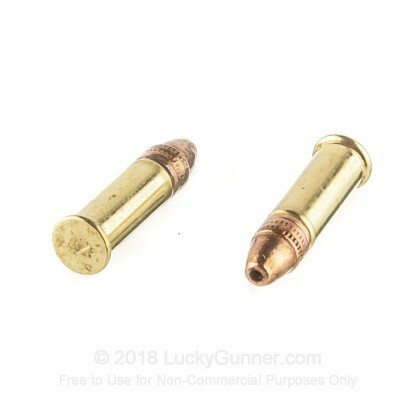 This 22 LR round has a copper-plated Hollow Point bullet seated in brass casing. 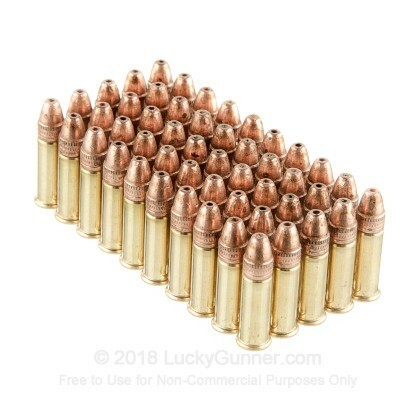 This is the perfect round for a day of small game hunting. 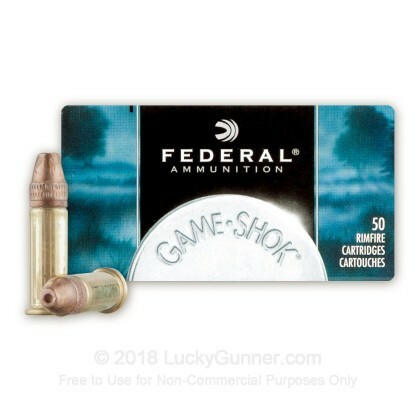 Federal Game Shok is a line of ammo that is designed to help ensure you have a successful day in the field. Whether you've got your cross hairs on that perfect 10-point buck, your bead on a flight of doves or your sights on the fattest squirrel ever, Game Shok makes a round that will be as reliable and as accurate as you need it to be. Buy some today and see why this has become a brand hunters throughout the United States have come to love and respect. 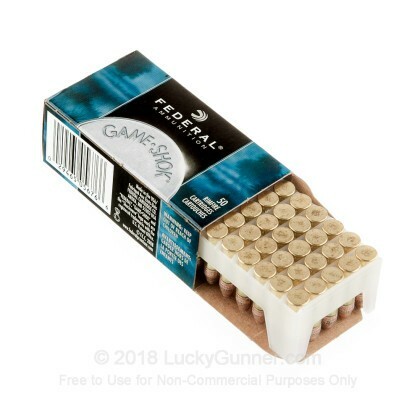 This box of ammunition is new production, non-corrosive and non-reloadable. Good ground squirrel medicine out to 125 yds. 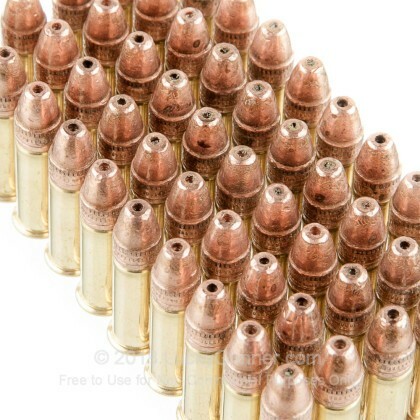 We also have this 22 LR - 31 Grain Copper Plated HP - Federal Game-Shok - 50 Rounds ammo in stock in a smaller quantity.